I’m pretty excited to blog about The Greens at Tuscawilla today. 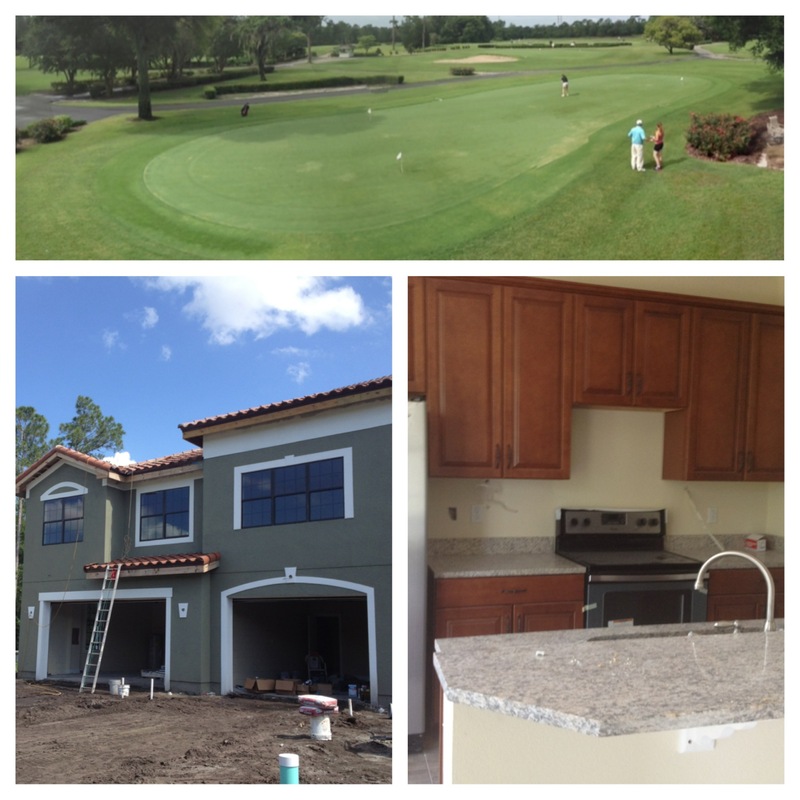 Reason being…the model is almost complete, the cabinets and granite counters are in, appliances are in, the exterior paint color has been chosen and the tile roof is installed. The excitement level of buyers and Realtors increases every day as they see this once vacant piece of property come to life in the heart of Tuscawilla. Once buyers can see the completed product and fabulously upgraded finishes, these townhomes are going to sell, sell, sell! This market is on the upswing…here’s why. 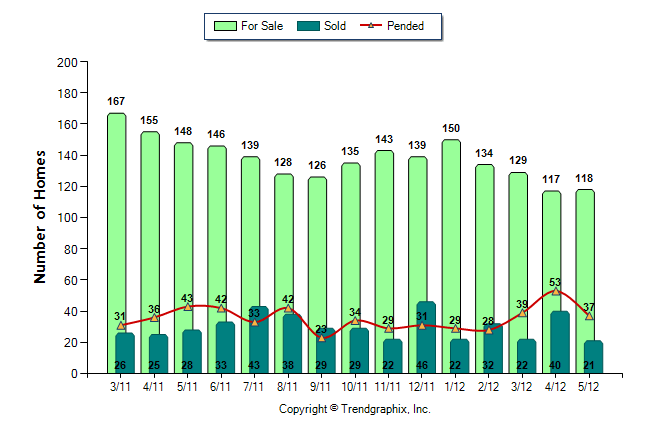 Currently Seminole county only has 1600 total homes for sale (including new construction). When you compare that to only the NEW CONSTRUCTION that’s available, the number drops drastically; only 7% of the inventory is new construction. Of course, not every single new home is listed in the MLS, but builders don’t build an entire community at once either. If you want to begin building a brand new home, permits must be pulled with the city/county, pricing must be determined based on upgrades, options, etc. All of this takes time and planning…from start to finish a buyer could expect to be in their new home anywhere between four to nine months, depending on the efficiency of the builder, permitting/inspection departments, financing situation of the buyer etc. Each home purchase has its unique intricacies and complexities for all parties involved; that’s part of the fun in real estate! Every day buyers and Realtors are faced with multiple offer situations and fewer choices, because of that, buyers will begin flocking to new construction to find what they are looking for. In new construction, the buyer can decide what they want in their home, what lot they’d like to pursue and get the finishes they desire. In the same token, because inventory is low and options are limited, builders are keeping close to their price points too. 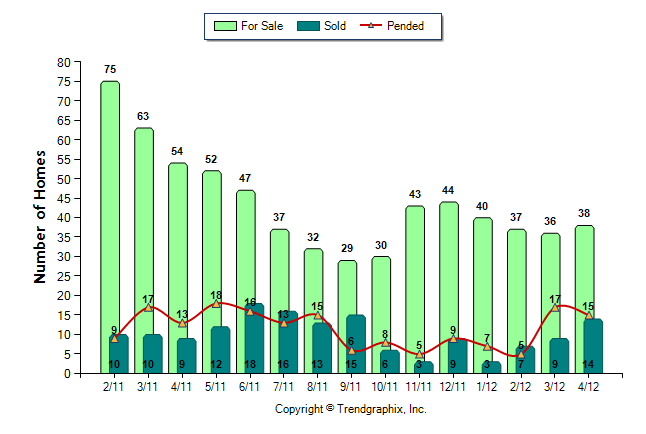 If a buyer is thinking they’d like to pursue new construction…they’ll still have to act relatively quick since only 7% is new construction in Seminole county…and in the Winter Springs/Oviedo/Chuluota area, there are only 38 homes for sale that are either pre-construction, under construction, or recently completed construction listed in the MLS. The Greens at Tuscawilla, accounts for seven of those properties and has a total of 15 buildings to complete with building nine scheduled to be complete in July 2012. If you or anyone you know is interested in a private tour of the community and country club, please contact me at annemariesells@gmail.com and I’ll be sure to arrange it!